UGGs are just the perfect comfy everyday shoe that require absolutely no effort. I’ve always wondered if they would go out of style, but hallelujah it looks like UGGs are here to stay! They’re doing something right over there because I’m not just talking boots. 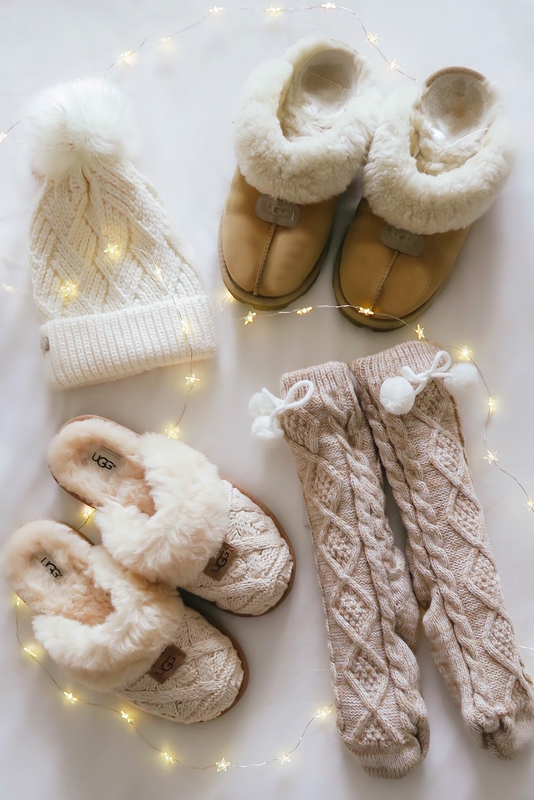 UGG has everything now from clothing to outerwear, pajamas, cold-weather accessories, home goods and more. Have you seen the selection at Nordstrom? It’s UGG heaven and I want. it. all. 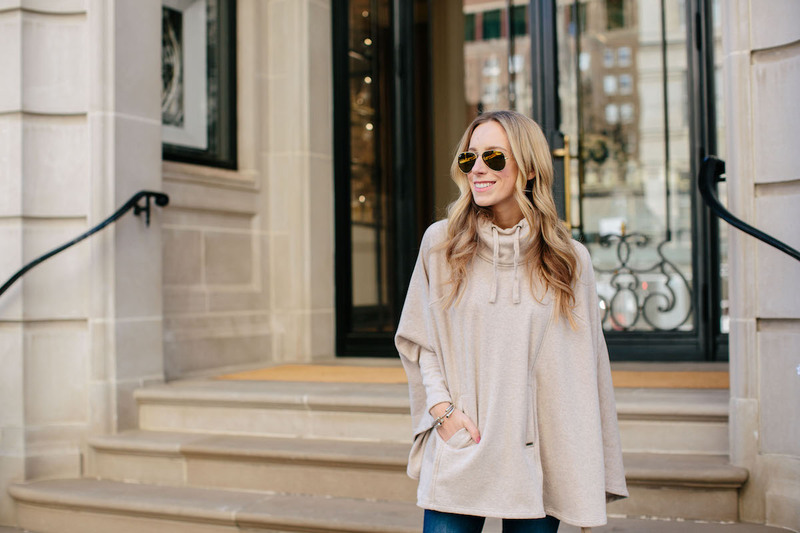 I picked up this UGG turtleneck poncho and omg gals, it’s the coziest thing ever. The pictures don’t do it justice! I’ve had these UGG button boots for two years now and can’t recommend them enough. Once cold weather arrives I wear them on a weekly basis– they’re the perfect casual boot for running around the city or winter travel. They come in a cute shortie version too! Now I can’t forget about my UGG slippers. This cozy cable pair is new, but my shearling slippers have graced my feet for years (probably could use a replacement…) I also can’t wait to lounge around in these fleece lined slipper socks once it gets really cold. 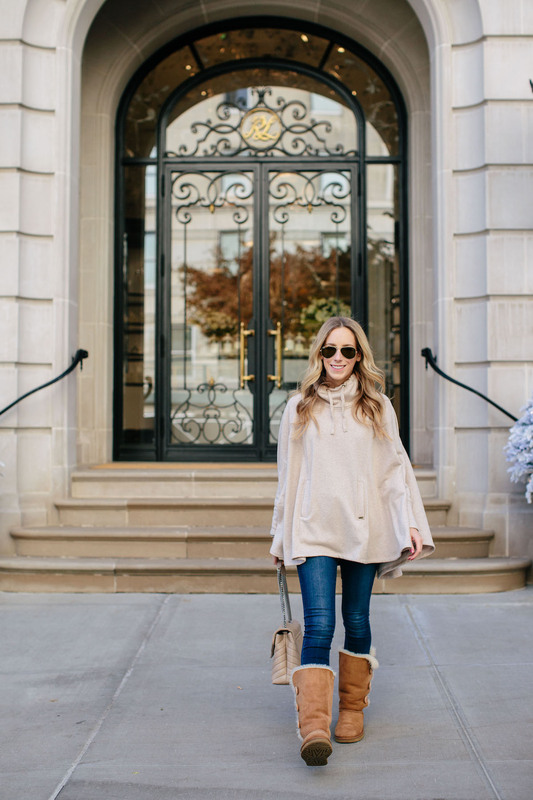 This is such a warm and perfectly bundled up outfit! Love your poncho and boots! This poncho looks insanely comfortable! Wonderful! I used to have shearling slippers our mom would get us for Christmas. They lasted for years, were comfy and warm. How are Uggs for walking around all day? to complete the adorable look. I just love the collection. It really looks amazing. I’m also going to buy this. Love ugg brand. I have a pair of ugg brand pair and they are perfect in that role. I love poncho too.